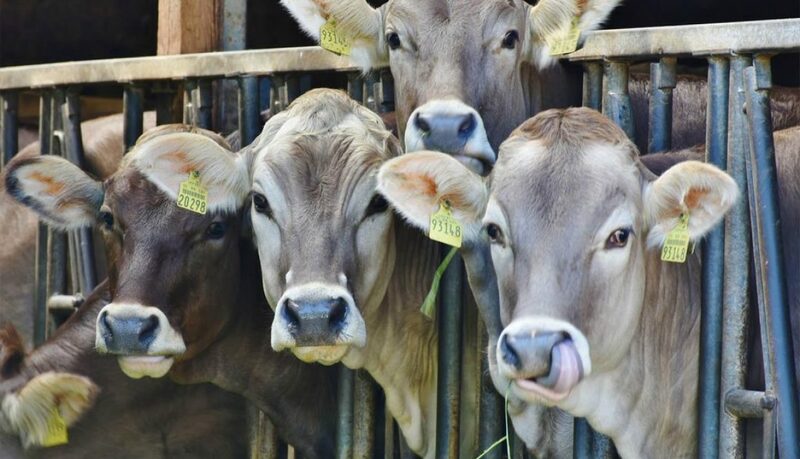 For the first time in over ten years Bovine Spongiform Encephalopathy (BSE) better known as Mad Cow Disease has reared its head again in the UK with cases recorded on a farm in Aberdeenshire, Scotland this October. A highly problematic virus that has previously devastated livestock in 1986 when 180,000 cattle were found to be infected, which led to a mass slaughter of 4.4 million cattle in the UK. Following this drastic outbreak many essential changes to how farming operates have been implemented which have successfully prevented a major outbreak since. With the latest reappearance there are important lessons to pay attention to from what has happened before that can help prevent the disease causing a problem to you and your livestock. Bovine Spongiform Encephalopathy (BSE) is most commonly known as Mad Cow Disease which is a fatal neuro-degenerative disease that affects cattle. The disease can be transferred to humans who eat infected meat which can lead to the development of Variant Creutzfeldt-Jakob disease (vCJD) of which there have been 177 known fatalities. The cause of BSE is currently unknown however evidence links to contamination coming from infected Meat and Bone Meal commonly from sheep with scrapie (another neuro-degenerative disease). The history of the disease is believed to run back as far as the 5th Century BC with several recorded instances of a disease with similar symptoms in cattle crossing over into humans. The virus cannot be killed by general cooking which makes it especially harmful if it enters the foodchain. What are the symptoms of Mad Cow Disease? BSE has an incubation period that can run from months to years which makes early diagnosis very difficult. Diagnosis is generally established by inspecting brain tissue from deceased cows who exhibited physical symptoms. General dis-coordination – Trouble walking and getting up. Followed by death within 2 weeks to 6 months. There is currently no treatment or vaccine available to treat BSE. Variants of the disease can cross over and infect not only humans but also sheep, goats, mink, deer, elk and cats. How to dispose of infected waste? The only safe way to safely neutralise infected livestock is through appropriate incineration, not in open fires, which leads to spreading the contamination into the environment. All our agricultural machines are highly secure when incinerating fallen livestock and waste. Having a primary burning chamber which achieves temperatures well in excess of those required to neutralise BSE. Followed by a secondary chamber that maintains 850°C releasing only cleaned gasses back into the environment. We are experts in all fields of biosecurity and are able to support you and your farm across all your animal needs. BBC – Mad cow confirmed in Scotland. This year has seen the return of one of the most devastating agricultural viruses for pigs. With over 100 reports of the highly contagious outbreak of African Swine Fever Virus (ASFV-Asfarviridae) across Europe and Asia recorded during the start of autumn. 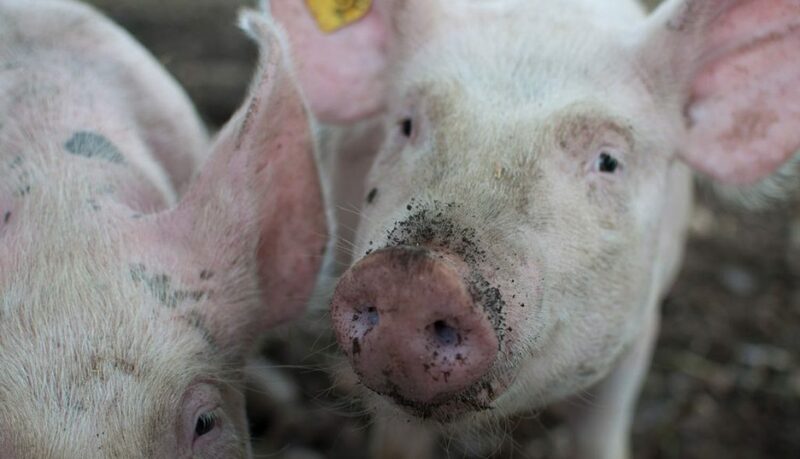 Although African Swine Fever was believed to have been wiped out throughout Europe in the 1990s its return has been expected following the rapid increase in the global agricultural industry. The spread of ASFV has been gaining traction across Eastern and Western Europe with Belgium being the latest country to record infections in wild boar and domestic pigs. The last time Belgium was affected was in 1985 when it had to cull 30,000 pigs, if the virus takes hold this year it could result in far greater numbers. Already responsible for more than 300,000 pigs being culled throughout China and Eastern Europe. Europes second largest farm in Romania has had to cull all of its 140,000 pigs thought to have become affected after water from the nearby river Danube, which has been used on the farm for years, became infected following the believed dumping of infected pig carcass by local small holdings. This outbreak is set to cost the country millions and threaten the jobs of thousands of people if it is not able to be controlled quickly. The latest outbreaks of ASFV are reported to have began in 2014 with reports in Central and Eastern Europe including Lithuania, Poland, Latvia and Estonia before moving to the Czech republic in 2017 and Romania and Hungary in 2018. Further afield Chinese authorities have ordered culls alongside placing a ban on movement of live pigs in reaction to the outbreaks across ten of its provinces. ASFV is such a serious problem that governments are proposing building border length walls to control movement of wild boars. Although there has never been a recorded outbreak in Great Britain the risk still needs to be respected. At Addfield we work with farmers across more than 95 countries and are experts in biosecurity and can help you minimise your risks. With all this potential risk just what is African Swine Fever and what can be done to prevent it’s spread? The most important thing to be aware of is that the virus is unique to swine and does not affect humans or other animals. A highly contagious disease that generally results in the death of domestic pigs and wild boars. Initially hard to diagnose as the initial symptoms such as fever, lethargy and loss of appetite are very similar to other diseases that pigs are susceptible to. The signs initially become noticeable within three to fifteen days following infection. · Once the infection has taken hold the symptoms increase in severity with noticeable reddening of the skin and patches appearing on the tips and tails, chest, feet and under belly. · An unwillingness to get up and in many cases death. The disease is predominantly spread through direct contact, feeding contaminated meat and pork products, ticks, fleas and other insects. As well as through contaminated objects bringing the virus onto farms and into contact with livestock, most preventable on vehicles and clothes. Without a reliable treatment to cure the disease the number one action that needs to take place is prevention. Practicing strict biosecurity is essential becoming stricter with how you handle pigs, only feeding them approved foods and not kitchen scraps or meat products, which is illegal in some countries including the UK. Monitoring visitors to your site closely, to ensure biosecurity as well as ensuring full cleaning and disinfection takes place for all visitors and vehicles coming to and leaving your premises. Only allow essential visitors to enter your site and ensure that they wear clean or disposable clothing and footwear, alongside washing thoroughly and showering if possible to prevent bringing contamination onto site. Make sure that any vehicles and equipment entering your site are cleaned and disinfected before entering and leaving your farm. Enforce a curfew for visitors insisting that they have not been in contact with other pigs for 72 hours prior to visiting your site. In the unfortunate situation where a cull occurs there is only one safe way to remove the infected livestock and that is through reliable incineration. Reducing the number of visitors to your farm is essential therefore being able to safely manage your fallen stock onsite through an Addfield incinerator is of maximum benefit. Managing your own incineration increases your reaction time, reducing the length of time that infected carcass are left on your site as well as restricting vehicles that may have already visited infected farms to collect your fallen stock could bring the infection onto your property. Having your own incinerator on site further protects your farm and livestock. View our agricultural incinerators by clicking here.